Some Folks Aren't Happy With The BlazBlue Anime, Why's That Then? 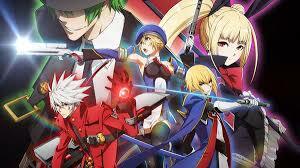 How Does The Original Game Series Differ To The BlazBlue Anime? The BlazBlue anime is currently in disarray. How could something so popular amongst so many be treated with such disdain and lack of respect. What has been done to the game that they love?! It would appear that the BlazBlue anime, doesn't make the necessary transition very well. The original series upon which it's based is a true 21st century warrior of a game. A game that knows of no limitations and where boundaries constantly get stretched where battle is carried out against extreme evils of this ever increasing universe. Firstly an "anime is a Japanese animation, usually for adults although not always. The characters usually have large blinking doe like eyes, but again, don't take it for granted. Moving back, Blazblue is a fighting game series for kids and one would guess rather younger adults, not unlike the teenagers and students that got heavily involved in Dungeons and Dragons. Oh how times have evolved and moved onwards and literally upwards. Anyhow back to the plot, it appears recently the BlazBlue fighting series is now available as an anime adaptation, with Ragna The Bloodedge as the main character. With that, there are a few critics of this new format, saying some things from the original appear to be lost in transition. Hard to please everyone all the time. The original of these games, it has to be said are quite dynamic, sound, graphics, storylines, plots, characters they really are quite captivating. Even adults can get hopelessly lost in time as they fight their way through a new unforeseen world that they never realized existed, beyond the regular daily work commute, combating characters of all shapes and sizes with all their speciality moves ready to slay the combatant player into untimely oblivion. 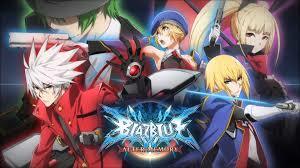 So what can be done about the Blazblue anime, with some players so critical of how everything now measures up? Perhaps some things take time, everybody mellows with age. Let's hope so!